Clare’s specialist interests include the organisation of work and the management of the employment relationship in the context of organisational change. She has a long standing interest in flexible working and directed a major project examining the implementation of flexible working practices on performance, in conjunction with Working Families and sponsored by seven companies. Her work in this field has been influential in shaping government policy and organisational practice. She is currently working with the Agile Futures Forum on the development of a number of case studies. She recently completed a project examining employee engagement in multi-national companies, in collaboration with colleagues in the UK, the USA and in the Netherlands. She is involved with Engage4Success and is currently a member of the Steering Committee for the Guru Group. She has published widely in her field including numerous articles, book chapters and books. Her recent book, co-edited with Julia Richardson, New Ways of Organizing Work: Developments, Perspectives and Experiences, published by Routledge deals with the implications of different approaches to organising work and draws on studies of organisations in Europe, North America, Asia and Australia. She presents her work at academic and practitioner conferences and acts as an advisor to companies and government organisations. 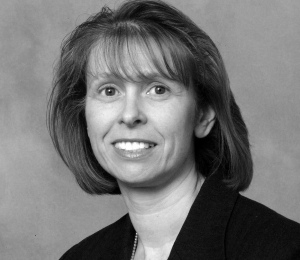 Professor Kelliher holds a PhD in Organisational Behaviour from London Business School, an MA in Industrial Relations from the University of Warwick and a first degree in management from the University of Surrey. Prior to joining Cranfield she was at the University of Surrey, where she held appointments at the postgraduate Surrey European Management School and the School of Management for the service sector.